Remote starters have been growing in popularity over the last decade but only recently have we gotten the ability to remote start a car from a smartphone! Yes, you heard that right! Viper SmartStart remote starters offer some of the most convenient and advanced technology, making the way you start your vehicle a whole new ballgame. 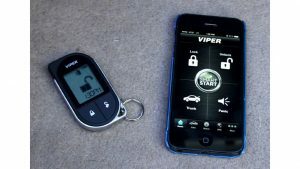 Looking to have a Viper SmartStart Installed in Your Vehicle? AutoWorks is an authorized Viper remote start dealer and certified installation facility that has been in business for over 20 years! Prices for the SmartStart begin at only $149.99! Contact us today to get one for yourself or someone you love and give the gift that is sure to keep you warm this winter and for many years to come!